别 名 DCR1c; Dcr1 homolog (Drosophila)DCR1; Dcr1 homolog (Drosophila); Dicer 1; Dicer 1 ribonuclease type III; Dicer; DICER_HUMANv Dicer1v Endoribonuclease Dicer; Helicase moiv; Helicase with RNAse motif; HERNA. 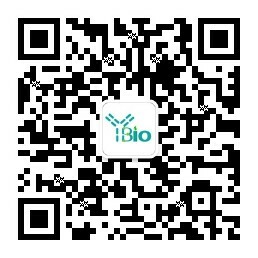 Required for formation of the RNA induced silencing complex (RISC). Component of the RISC loading complex (RLC), also known as the micro-RNA (miRNA) loading complex (miRLC), which is composed of DICER1, EIF2C2/AGO2 and TARBP2. Within the RLC/miRLC, DICER1 and TARBP2 are required to process precursor miRNAs (pre-miRNAs) to mature miRNAs and then load them onto EIF2C2/AGO2. EIF2C2/AGO2 bound to the mature miRNA constitutes the minimal RISC and may subsequently dissociate from DICER1 and TARBP2. Also cleaves double-stranded RNA to produce short interfering RNAs (siRNAs) which target the selective destruction of complementary RNAs. Component of the RISC loading complex (RLC), or micro-RNA (miRNA) loading complex (miRLC), which is composed of DICER1, EIF2C2/AGO2 and TARBP2. Note that the trimeric RLC/miRLC is also referred to as RISC. Interacts with DHX9, EIF2C1, PIWIL1 and PRKRA. Associates with the 60S ribosome. Defects in DICER1 are a cause of pleuropulmonary blastoma (PPB) [MIM:601200]. PPB is a rare pediatric tumor of the lung that arises during fetal lung development and is often part of an inherited cancer syndrome. PPBs contain both epithelial and mesenchymal cells. Early in tumorigenesis, cysts form in lung airspaces, and these cysts are lined with benign-appearing epithelium. Mesenchymal cells susceptible to malignant transformation reside within the cyst walls and form a dense 'cambium' layer beneath the epithelial lining. In a subset of patients, overgrowth of the mesenchymal cells produces a sarcoma, a transition that is associated with a poorer prognosis.